Mainstreet Health Investments has announced the selection of Scott White, erstwhile president and chief operating officer of the company, as its new CEO. Prior to his selection, White was in charge of overall strategy and day-to-day operations for the firm. Before working in the company, White served as executive vice president of investments at Mainstreet Property Group and was executive vice president with HealthLease Properties Real Estate Investment Trust. Prior to joining Mainstreet and HealthLease, he spent a 15-year period on Wall Street. He acted as senior vice president in Brookfield Asset Management’s private funds group. He has also been director and head of deal management at Citigroup’s alternatives distribution group. “I am thrilled that Scott has accepted the role of CEO,” said board chairman Zeke Turner. “Continuity is incredibly important to the long-term success of a company. This is exactly the reason you build a deep bench of talent on the roster… I know Scott will do a great job in this new role and I look forward to working closely with him." Prior to his career in alternative assets, White worked with clients in the healthcare sector on mergers, acquisitions, and capital raising assignments as part of the healthcare group at Citi’s Investment Bank. He began his professional career as an auditor for PricewaterhouseCoopers. 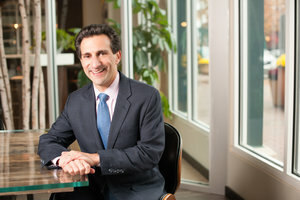 In addition to being a certified public accountant, he holds numerous degrees and certifications, including a master’s in business administration from Rutgers Graduate School of Management, a law degree from the University of Pennsylvania Law School, securities industry FINRA licenses Series 7, 24 and 63, and admissions to the bars of New York and New Jersey.